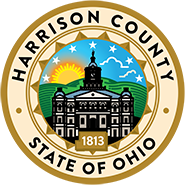 Due to the changes implemented in House Bill 138, the following will cover the new Harrison County Local rules and Sheriff Policies: Once judgment is made on foreclosure. This policy is subject to change. Prior to the Praecipe for Order of Sale being filed, the legal description must be sent to the Harrison County Engineer’s Office to be stamped approval with the Property Description Form completed. The address for these to be sent is: Harrison County Engineers Office, 100 West Market Street, Cadiz, Ohio 43907. Please include a self-addressed prepaid envelope for return of description. Note: No copies showing previous stamps, signatures, date or are in poor condition will be accepted. Effective April 1st, 2009 there is a $300.00 fee for every Praecipe or Alias Praecipe that comes through the Clerk of Courts. 1. Praecipe for Order of Sale. The form of the Praecipe must have the Original Stamped Legal and the Property Description Form attached. The Praecipe will remain unchanged. B. Deposit ~ Once the appraisal is completed the Sheriff with fax a copy of Sheriff’s fees, appraisal fees and publishing fees back to the attorney. Once the fees are received, by all, the Sheriffs Office will go to next step. C. Advertise ~ We will advertise in the Harrison News Herald for 3 weeks with the sale being held on the following Monday at 9 a.m. (If you would like additional advertising – please note that on the Praecipe). See Section 2329.26, ORC. 2. Open House ~ Section 2329.272, ORC. If the property is knowingly vacant or abandoned you will need to request an Open House prior to advertisement. During the appraisal process the appraisers are required to notify this office if it is, “without a doubt, vacant”. If you wish to request an Open House, additional fees will be included with the Sheriff’s return filed with the Clerk of Courts. Costs will be approximately based on overtime wage, $250. All Open Houses will be advertised with the Notice of Sale. 3. Purchaser Information Form ~ All winning bidders (Plaintiff, Defendant, or 3rd Party) will be required to fill out a Purchaser Information Form. Section 2329.271. ORC. If you are an out of town attorney and have a local bidder attending the auction, please include: a completed Purchaser Information Form with your bidding instructions. At the auction they will be required to submit this form. The form will be a part of the court proceedings and be filed with the Sheriff’s return. A. When the Plaintiff is the successful bidder for property sold at judicial sale, the bidder shall deliver a deposit to the Sheriff in the amount of 5% of the Judgment amount which is to cover recording fees, conveyance fees and the balance will be used for in the order of distribution. This fee shall be collected at the time of sale. B. When the successful bidder for property sold at judicial sale is not the plaintiff, the successful bidder shall deposit with the Sheriff in cash or by certified check 10% of the amount of such bid, this will cover recording fees, conveyance fees and the balance will be used for in the order of distribution. The deposit is due when sale is final. If deposit is not presented at the time of sale, the sale will be continued. Full payment is required in 15 days after sale. C. Whoever is the successful bidder, they will be required at the time of the sale, to have all recording and conveyances fees included in their purchase price. The ORC 2327.02(C) allows for the Sheriff to collect $75.00 dollars for the recording of the Deed, this is in addition to the $50.00 on the back of the Praecipe. The conveyance fees ($4.00 per thousand and transfer tax and $0.50 per parcel). The highest bid shall be rounded to the nearest $100.00 and conveyance calculated from that amount. These fees are payable to the Harrison County Auditor. C. Recording fees (2 pgs. ~ $28.00; 3 pgs. ~ $36.00; 4 pgs. ~ $44.00) this fee is payable to the Harrison County Recorder. E. Any special instructions, if needed. F. All fees must be paid in full before deed is released to the plaintiff. Click here for a copy of the Property Approval Description Form. A Real Estate Judicial Sale Form Real Estate Judicial Sale.pdf must be completed and returned at time of bid/sale. To view a list of the properties sold in 2014, 2015, 2016,2017 or the properties up for sale in the current year of 2018 click the links below.